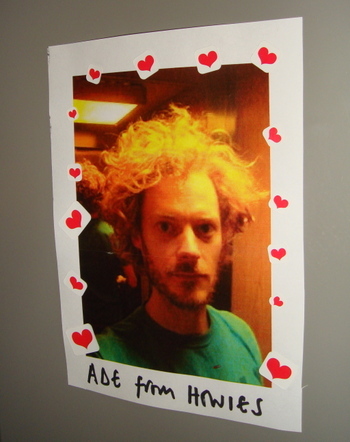 There is a lot of love for Ade from Howies at Fruit Towers. The girls are building a little shrine to him - I think he's been helping them out massively with a big new order of t-shirts for Fruitstock. Watch out Mrs Ade.